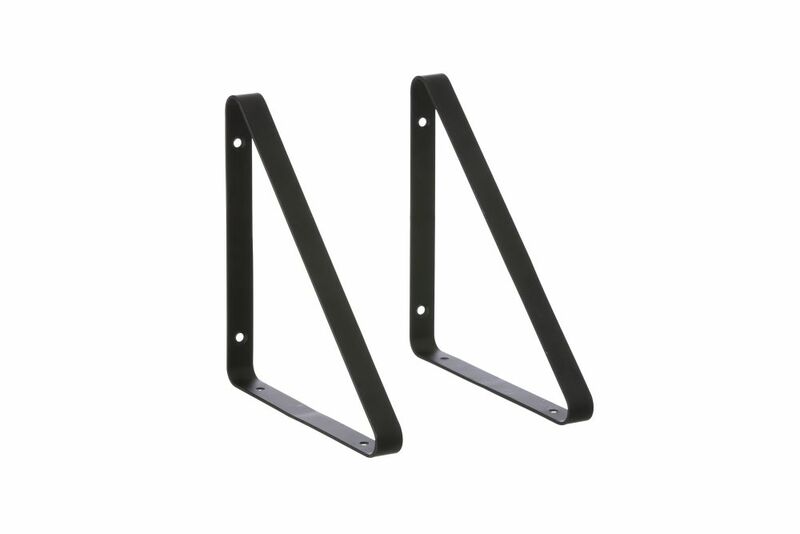 These shelf brackets are the perfect support of your new shelf. Pick your favourite combination of wood shelf and shelf hangers for a unique customised rack. The brackets are made of powder coated metal and come in five different colours.